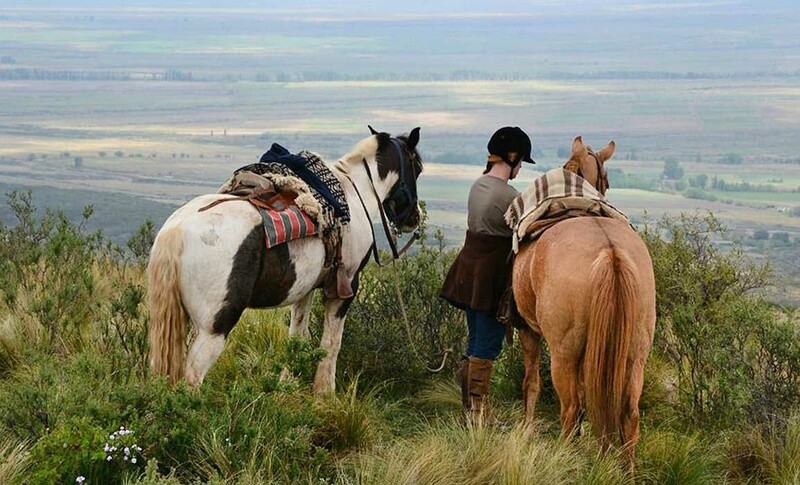 Saddle up and head out into the heights of the Mendoza hills on horseback! 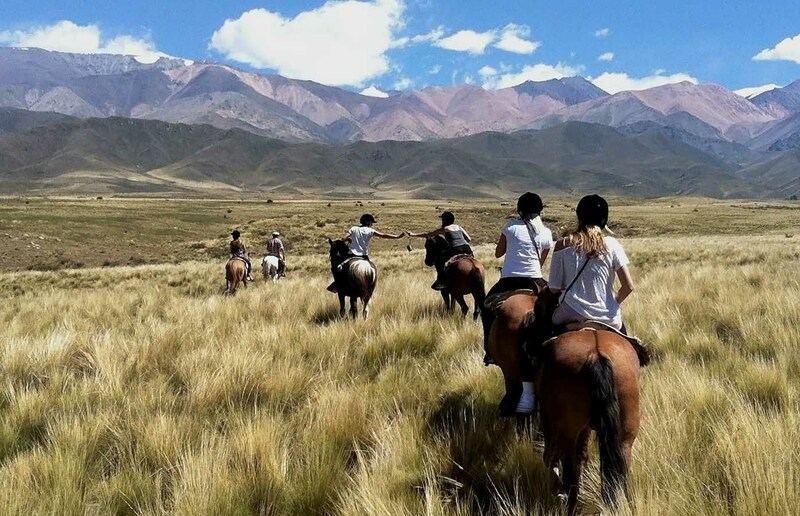 Get ready to saddle up and head out into the heights of Mendoza’s hills on horseback, as you explore the scenic countryside while taking in the breathtaking views of the majestic Cordón del Plata mountain range. Nestled at the feet of the snow-capped mountains, Estancia La Alejandra sits 6600 feet (2000 meters) above sea level, and offers gorgeous panoramic views of the surrounding mountains, Tupungato Volcano, and the fertile Uco Valley below. 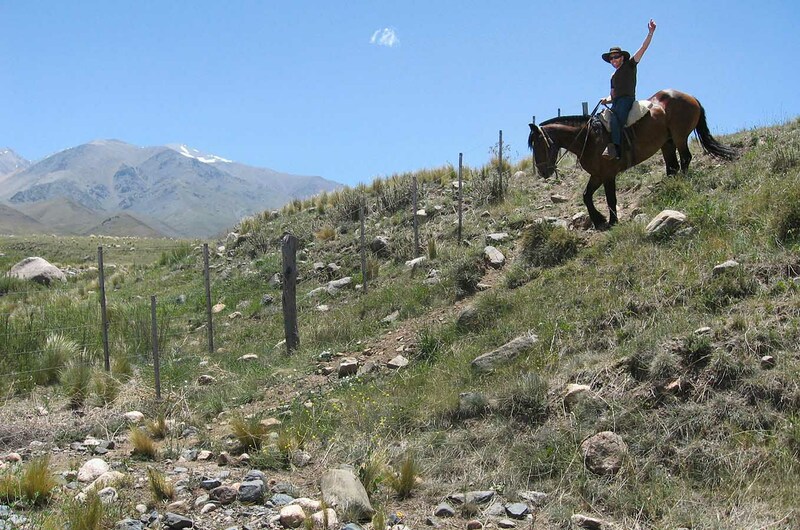 Our adventure on horseback kicks off with a 63-mile (100 kilometers) drive from the city of Mendoza to the estancia, taking around one and a half hours. Keep a lookout as we near the estancia, as the area has many eagles. 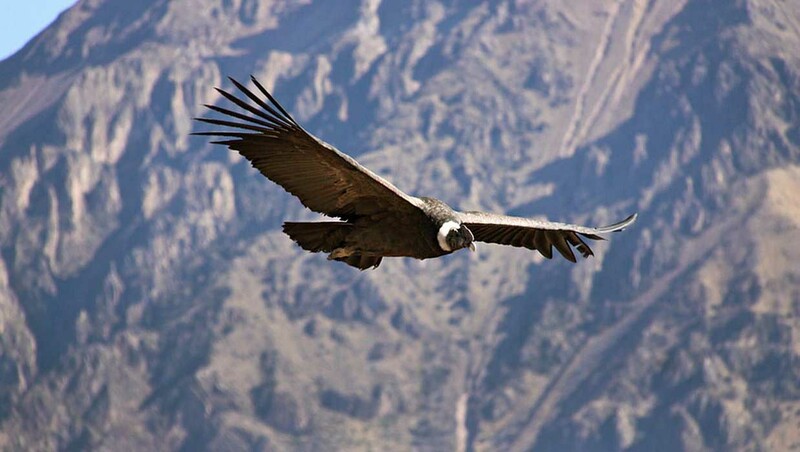 And if you’re very lucky, you may just spot the mighty condor, the largest flying bird on Earth, with a wingspan of up to 10 feet (3.3 meters)! Once we arrive at the estancia, we’ll be greeted by one of the local baqueanos (guides), who are experts in the area and will join us throughout the duration of our ride. Now for the fun part: it’s time to hop on to our four-legged companions and out to explore. We’ll ride for approximately 3 hours; taking in all the picturesque views this beautiful stretch of land offers. 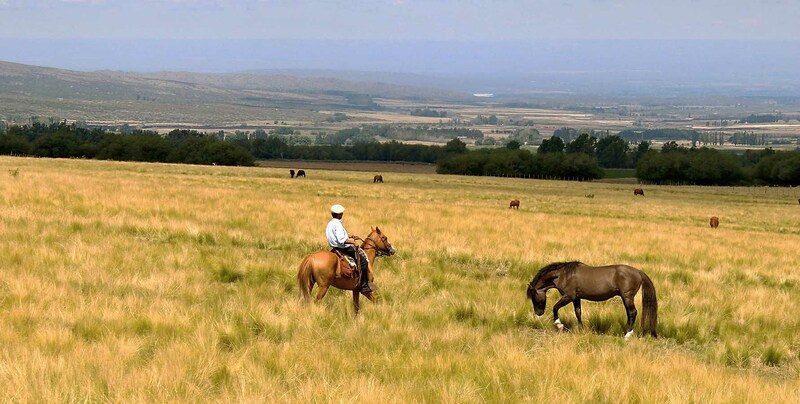 During the cloppity-clop of our galloping, our guide will show us some of the chores common at the estancia, such as herding and roping horses. After the ride, we’ll return to the estancia for lunch. As the afternoon moves along, we’ll have a chance to enjoy some free time, to walk around and explore the estancia, before our horsey-infused outing concludes with a transfer back to the city of Mendoza. Note: This tour can also be done with the option of having lunch first, and the horseback ride after. The order of activities will be confirmed on the day of your tour. Difficulty: easy. The minimum age required for this tour is 16 years old. Vehicle: private vehicle (transfers to and from the tour base take approximately 1 hour and half each). Includes: lunch with 1 non-alcoholic beverage (wine and additional beverages can be requested and paid there).